The hottest thing in the present moment might be the return of past favorites. In yet another sign that the market for nostalgia is alive and well, Bath & Body Works is re-releasing some of its signature scents that made it the go-to fragrance stop for middle schoolers in the 90s. That’s right, you’re favorite smells -- Cucumber Melon, Juniper Breeze, Country Apple, White Tea and Ginger, Plumeria and Pearberry -- are back as part of the company’s #Flashback Fragrance campaign, according to Mashable. 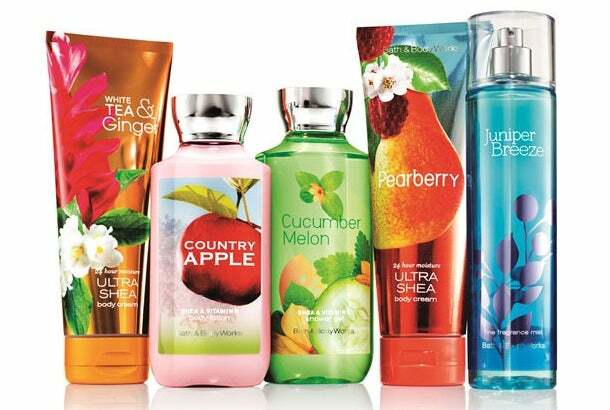 Whether you prefer fragrance mist, shower gel, body cream or body lotion, there’s a fragrance product out there that your eighth-grade self would love. Not everything is the same, however. There will be new packaging to complement the old scents, which you can buy both online and in stores from June 8 until July 5. Plenty of other brands are hoping to court millennials by re-releasing old favorite products with a slight update. The digital pet Tamagotchi, for example, is now available on the Apple Watch and teen clothing catalogue Delia’s is making a return after filing for bankruptcy.